Happy Veterans Day! | Who Are You Calling Crafty? 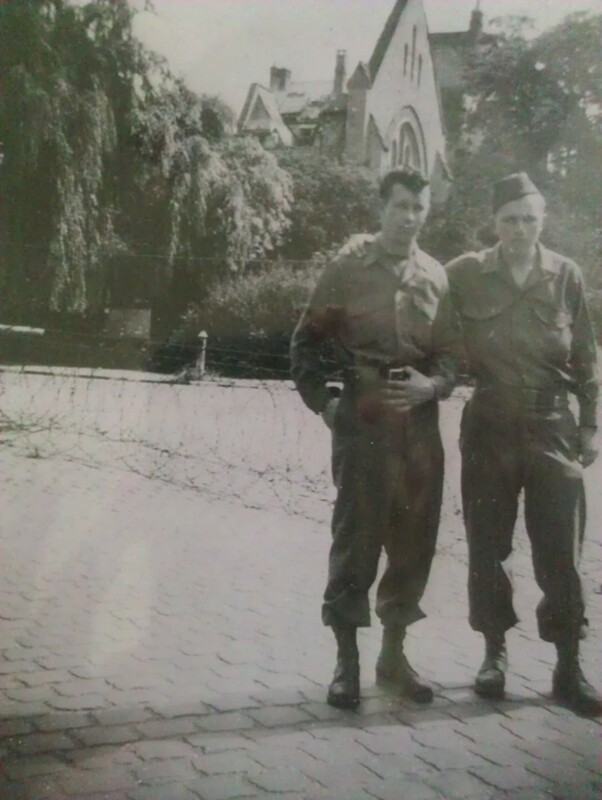 I want to take a moment and thank all the Veterans (past, present and future) for their service. 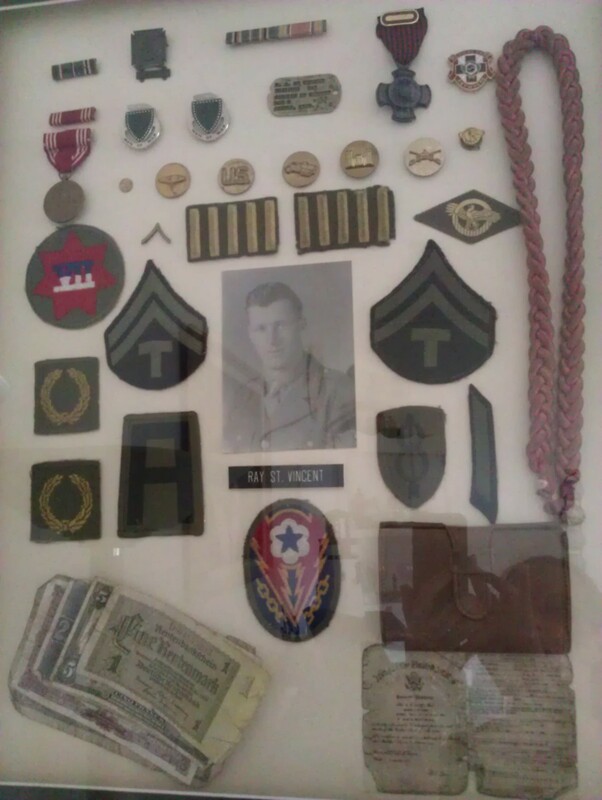 My grandfather (aka: Papa) served in World War II in France and fought in the Battle of the Bulge. I was was three when he died, I barely remember him. 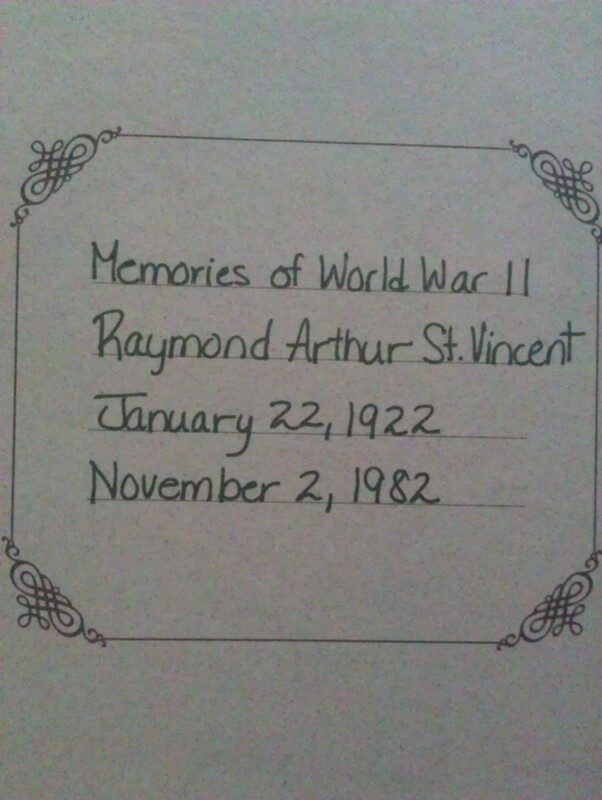 I never got to ask questions about the war, what was France like, or if he actually killed someone (I am pretty sure from what I have been told I would have never found that out anyways). It was a different time and most soldiers who came back never spoke of the unspeakable acts they saw or did. They were all heroes, they saved us from the evilest of evils. Some went on with their lives got married, had a child or several children others could never get past the horrors they saw and faded from memory into the deep dark abyss of history. Many who fought in World War II never thought there would even be more brutal wars to come, Korea or Vietnam. When our Veterans came home from Vietnam, they were not treated as heroes they were treated as outcasts because they followed orders. 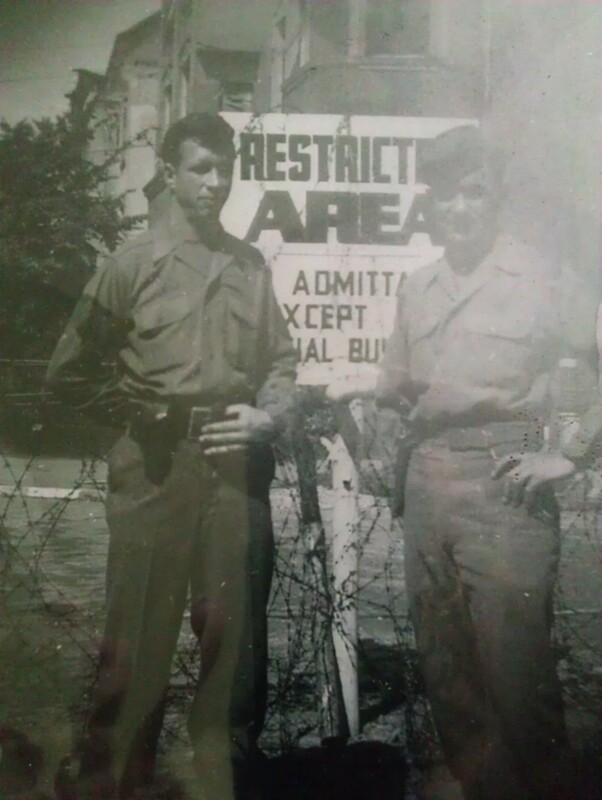 Society shunned them because they fought for this country. Not until the Memorials went up did we as a society realize the sacrifices that so many men and women made. I am reminded of the M.A.S.H. episode where they are doing the time capsule and they put Radar’s Teddy Bear – “They came here as boys and left as hardened men.” Those Veterans make it a point to celebrate those brave men and women who come home from war today. I can not even imagine the horrors of war and I hope I never have to. 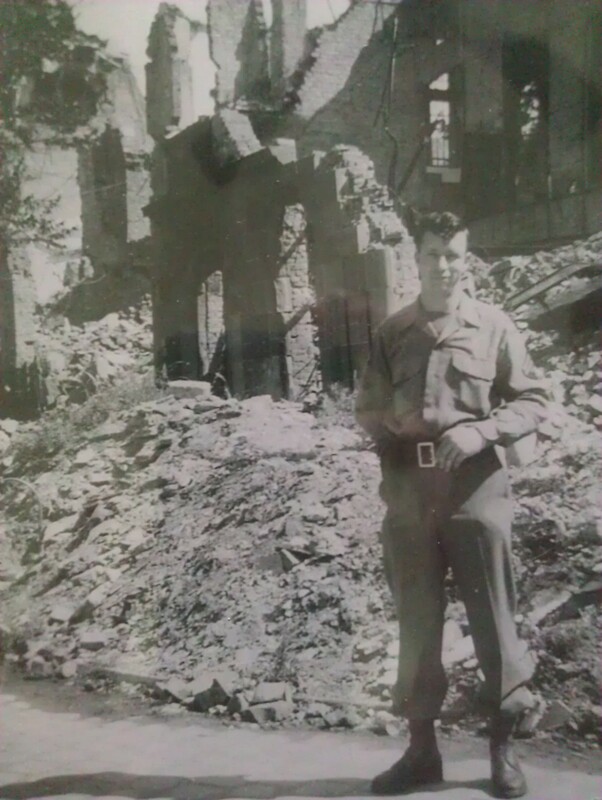 I celebrate Veterans Day because it is the one day I feel the closest to my Papa, the one picture of him I have framed is of him as a young man in France. I look at that photo and I wonder what he was thinking, what he horrors he saw, his whole future in front of him. 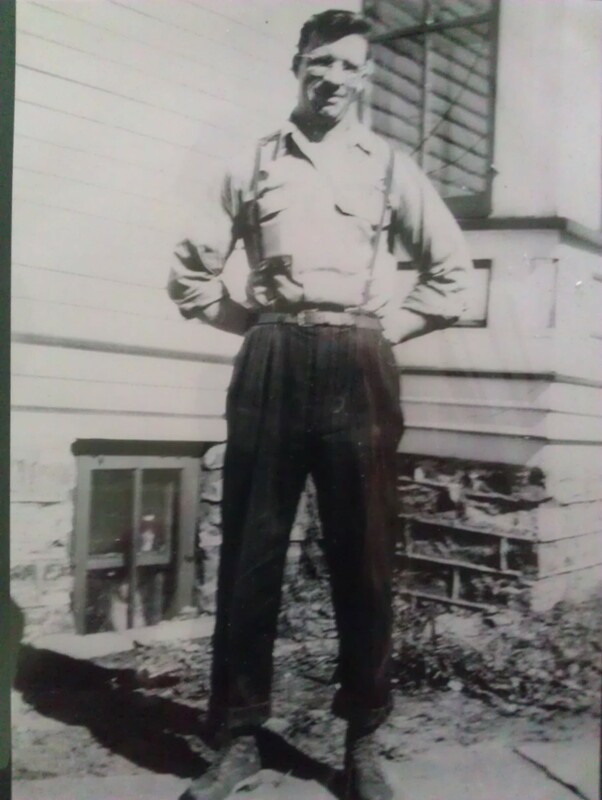 He married my grandmother in 1946 in a simple ceremony by the Justice of the Peace and they went on to have seven children (one being my dad). I wanted to take a moment and thank everyone for serving (and who is currently serving) this country, for the sacrifices they and their families make. It is because of you the rest of us can live the way we do with the freedoms and rights we have. 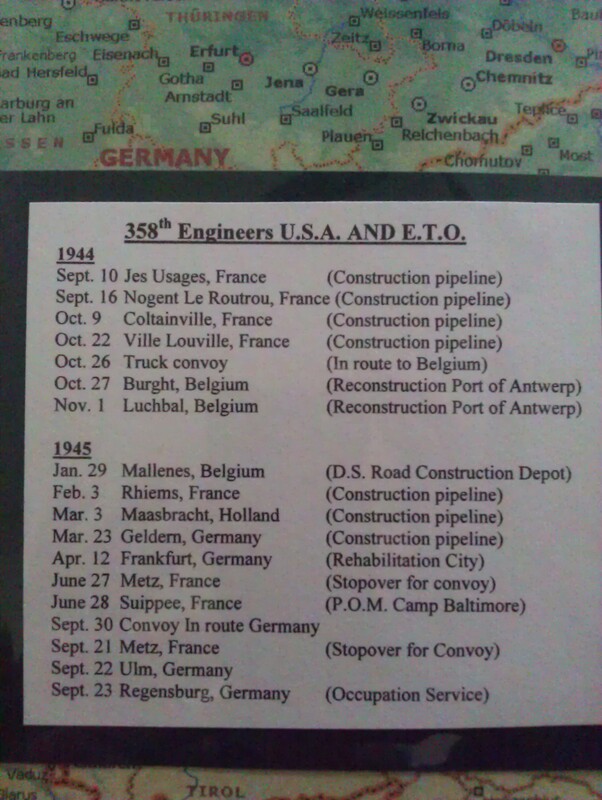 Itinerary in France – One of guys in my Papa’s battalion kept a journal of every place they were. 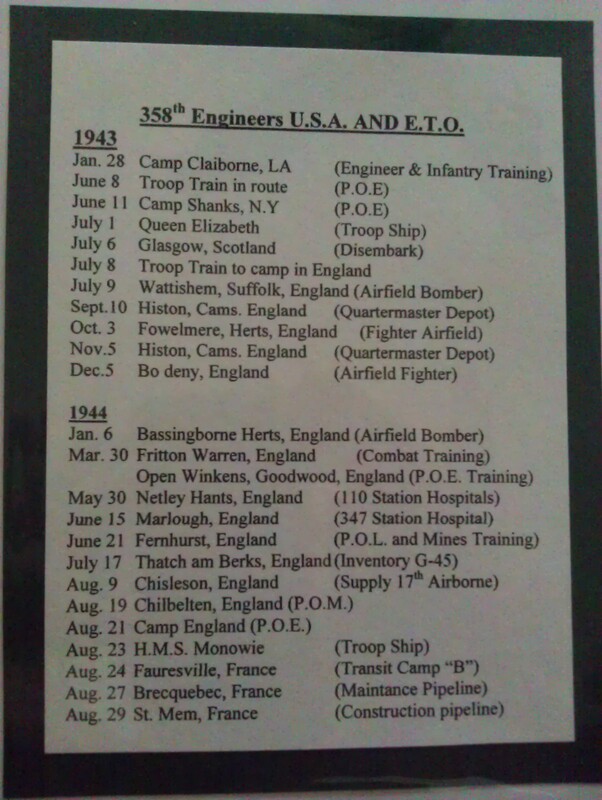 Part 2 of the list – I snapped the photo when I was home in August. I always wonder where the need to go places I don’t belong stems from – I blame this photo, lol.